The first time I got my hands on the Sensiball from Pollywiggles, I just wanted to keep touching it, sort of like stroking a very soft bunny or teddy bear. The velvety covering and the sensation when you push your fingers into the gaps in the ball just is just so soothing and fascinating at the same time. This is, of course, a baby toy for early sensory stimulation, although I think many a stress executive might find it a huge help to stay calm! The Sensiball is a round fabric-covered ball that rolls, encouraging a sitting baby to reach out to pick it up and eventually to crawl after it. Due to its design it is easy to grasp for little hands. Because your baby uses all of his/her senses to learn about their world, they will mouth the ball, drooling on it or even touching it with sticky hands. Don’t panic. The ball is fully washable. 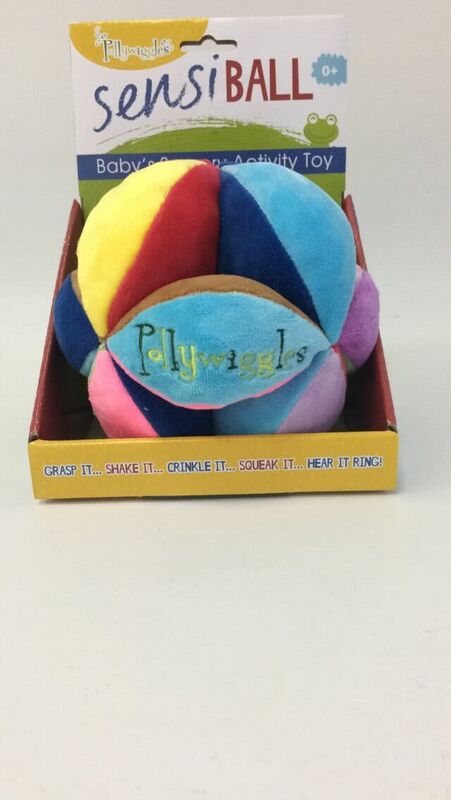 The Sensiball from Pollywiggles was reviewed by Nikki Bush for Toy Talk.